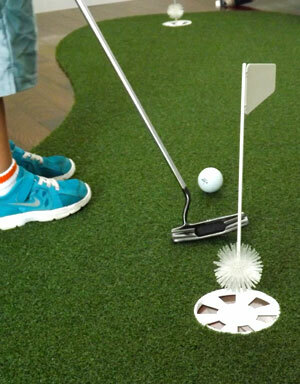 Looking to practice your game around the house or the office? 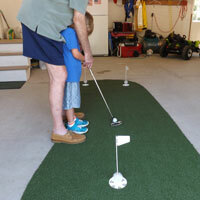 Our portable artificial turf putting greens are a great solution to take your game to the next level. 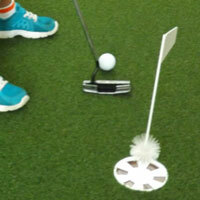 Install our portable greens yourself anywhere- indoor or out – and enjoy your own putting green anywhere, anytime. 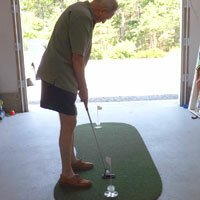 New England Turf Store features exclusive portable artificial turf putting greens that are affordable, long-lasting and maintenance-free. Choose from one-hole or two-hole options and we’ll ship it right to your door. Call New England Turf Store @ (781) 821-0112 today to talk to one of our golf applications experts and begin designing your customer practice surface today.